Offering an outdoor pool, The Lince Nordeste Country and Nature Hotel is located in Nordeste in the São Miguel Region, 29 mi from Ponta Delgada. Guests can enjoy the on-site bar. Free private parking is available on site. Each room at this hotel is air conditioned and comes with a flat-screen TV. Some units include a seating area where you can relax. Views of the sea, mountain or pool are featured in certain rooms. The rooms are fitted with a private bathroom equipped with a bath and bidet. For your comfort, you will find free toiletries and a hairdryer. The Lince Nordeste features free WiFi throughout the property. Guests can enjoy various activities in the surroundings, including golfing and cycling. 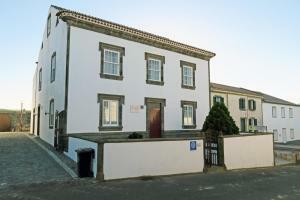 The nearest airport is João Paulo II Airport, 30 mi from the property.